Caption slip reads: “Photographer: Monteverde. Date: 1954-12-22. Reporter: Ostler. Assignment: X'mas tree in swimming pool. 29: 5745 Hill Oak Dr., home of E.S. 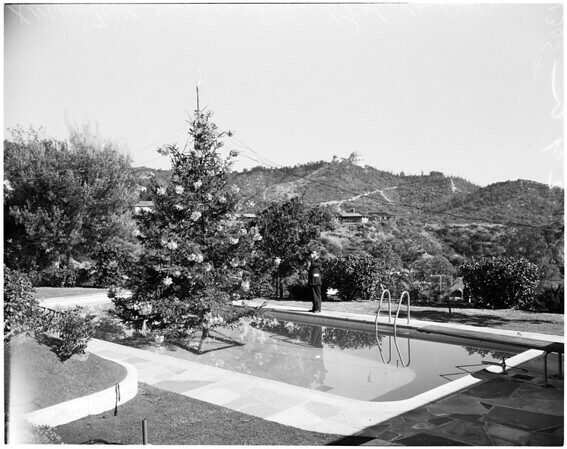 Jones who is exterior decorator has tree in swimming pool”.